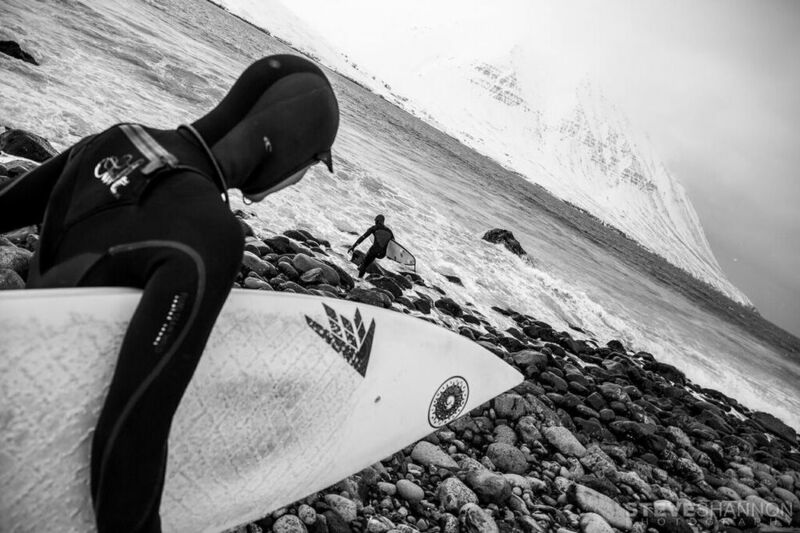 May 2015 we decided to travel to Iceland, in search of some epic spring touring and extremely cold water surfing. We fell in love. Iceland is not comparable with any country we’ve ever traveled. It’s rough landscape and the thousands of breathtaking nature miracles like waterfalls and geysers just make you wanna put everything on a picture. It’s nothing like you’ve ever seen. May feels like mid winter, it’s windy, it can snow, but also the sun can poke through. It doesn’t get dark at night, and it doesn’t get warm during the day. Spring touring conditions are supreme. Starting your tour from one of the little towns at the ocean, where the locals are extremely friendly, warm and most welcoming and always serve you a good coffee, to the top of the mountains. There where a stunning view is awaiting you, if you look down you’re looking over the bright blue fjords where whales pop up and seals are relaxing. If you look straight you’ll see mountains where you’ll be scooping out you’re line for the next day. A country with never ending possibilities. In the future, we’re thinking about getting you out there to do the same, skitouring when the sun pokes through, cold water surfing when the swell arrives, and adventuring through the country on any off days. And when the budget is there, we could make you’re dream come through and get you out heliskiing! And let us know when you’re interested! Photography courtesy of Steve Shannon Photography.